Policies: Baptism; First Communion and Confirmation; Fire, Health and Safety. Fr Michael Moorhead is the Vicar of All Souls Harlesden. 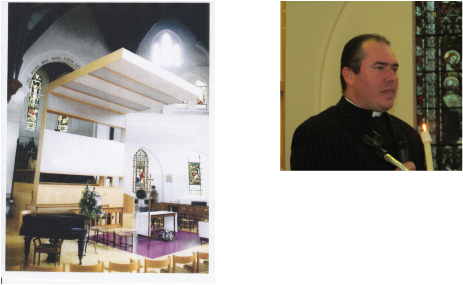 He is also a Prebendary of St Paul's Cathedral, Vice Chair of Governors of John Keble School, Chaplain to Willesden Centre for Health and Care, and Chair of Brent Bereavement Services. All Souls Church Vicarage, 3 Station Road, London NW10 4UJ. Fr Valmor Pimenta has responsibility for our Portuguese speaking congregation Paroquia Anglicana All Souls. 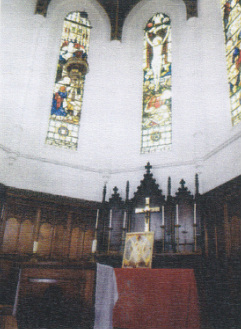 The Lady Chapel, with its beautiful oak panelling and reredos, was formed from the chancel and old high altar when the church was reordered in 2007. It is a place for quiet and reflection.